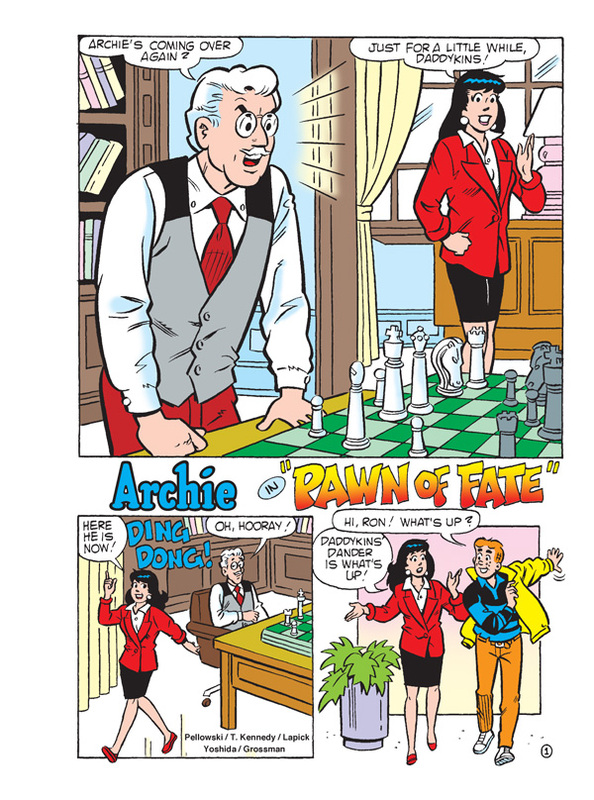 Archie wants to do something special for Betty's birthday, so he decides to bake a cake—unfortunately, Archie’s never actually tried to bake a cake before! But how hard can it be? 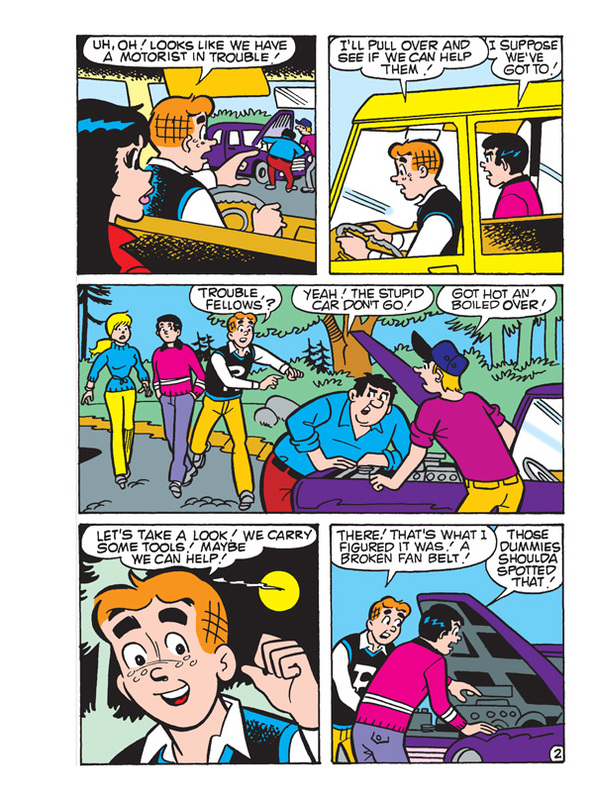 With his good pal Jughead by his side, he should be able to accomplish anything he sets his mind to. Providing, of course, that Jughead doesn’t eat everything before he even gets a chance to start baking! Will Archie give Betty the best birthday gift ever? Or is this plan a cake mistake? 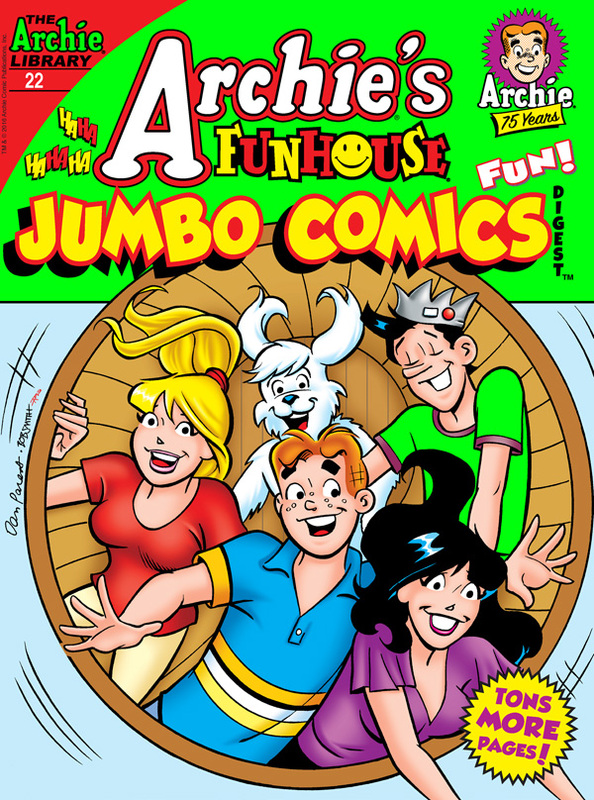 Find out in “Caketastrophe,” the fun lead story to this JUMBO-sized comics digest! "Panic in the Sky" Part Three: The finale to the “Shattered World Saga” is reaching a fevered pitch! 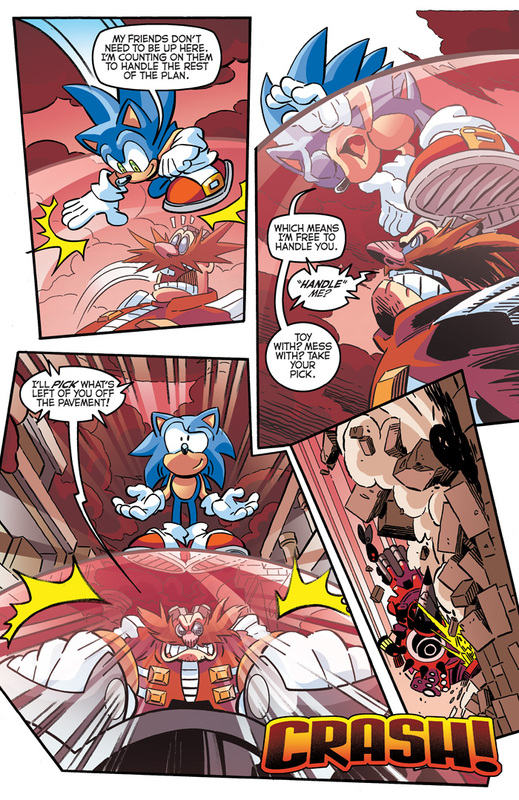 Sonic battles Dr. Eggman in a desperate bid to rescue Chip! 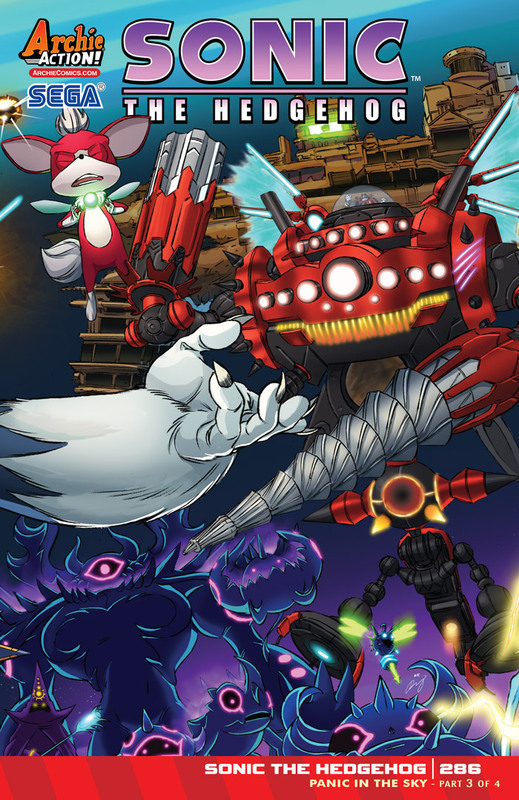 The Freedom Fighters invade Eggman's refinery against impossible odds! 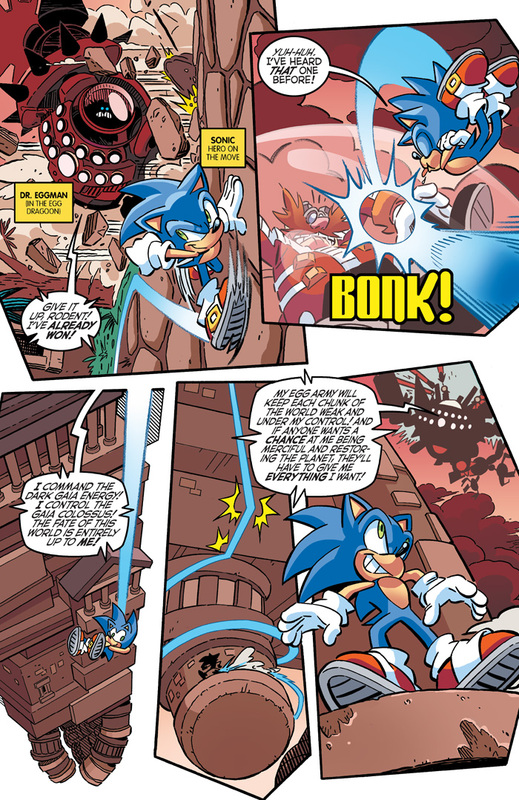 Rotor flies the Sky Patrol into a no-win battle with the Death Egg! And it only gets more nuts from there! Featuring the third of four connecting covers by comics pro Dan Schoening plus an “Egg Dragoon” variant by Mr. Sonic comics, Tracy Yardley!